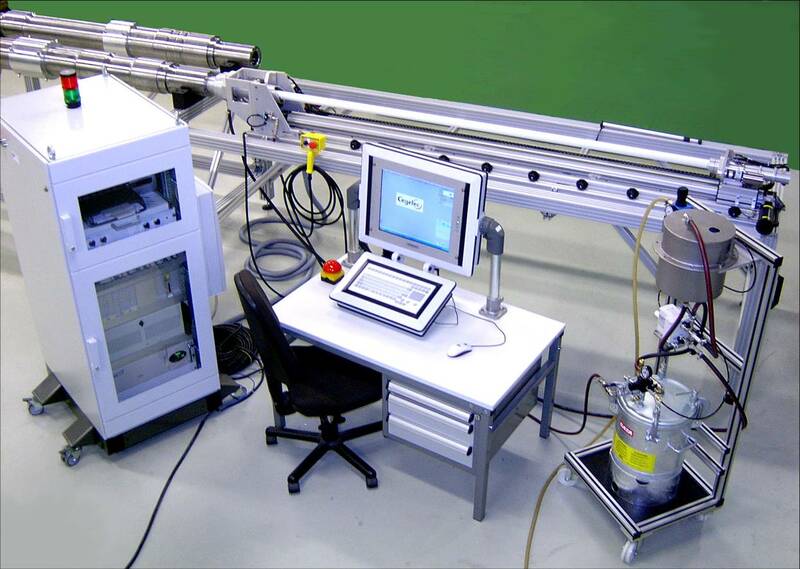 Our partner Actemium (Germany) has developed a semi automatic system for the inspection of small diameter hollow axles using internal drilling scanner from one side. Our partner Gilardoni (Italy) has developed a semi automatic system for the inspection of small diameter hollow axles using internal drilling scanner from one side. Our partner Actemium (Germany) has developed an automatic « shuttle » for small diameter hollow axles using internal drilling scanner from 1 side. The system is on wheels, and perform the inspection without dismantling the wheelset from the car. Our partner Actemium (Germany) has developed a manual « Mini shuttle » for inspection of hollow axles using internal drilling scanner from 1 side. 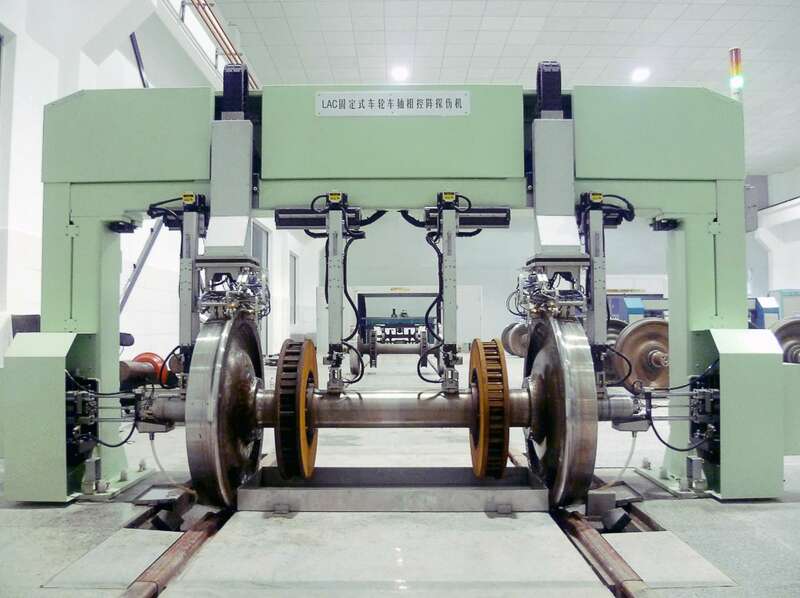 The system is on wheels, and perform the inspection without dismantling the wheelset from the car. 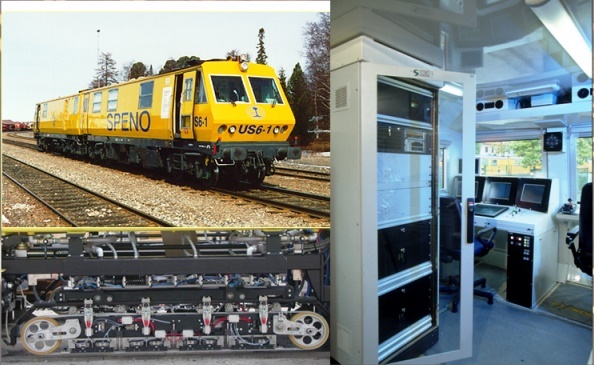 High speed railway inspection with our USPC electronic for conventional Flaw detection, with an on-track inspection able to go up to 100km/h. 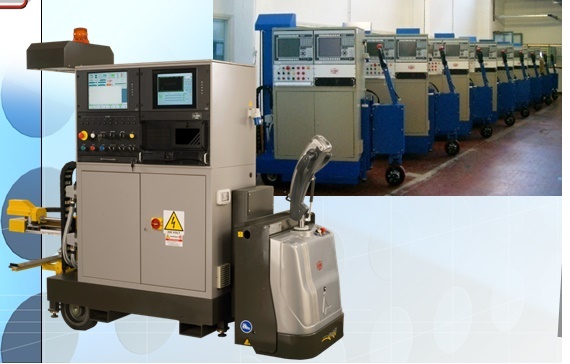 Socomate International has developed a complete system, electronics and software, to be integrated into inspection vehicle. This reference is for the inspection of the corrosion of a petrol storage tank. The trolley is equiped with 16 UT channels. 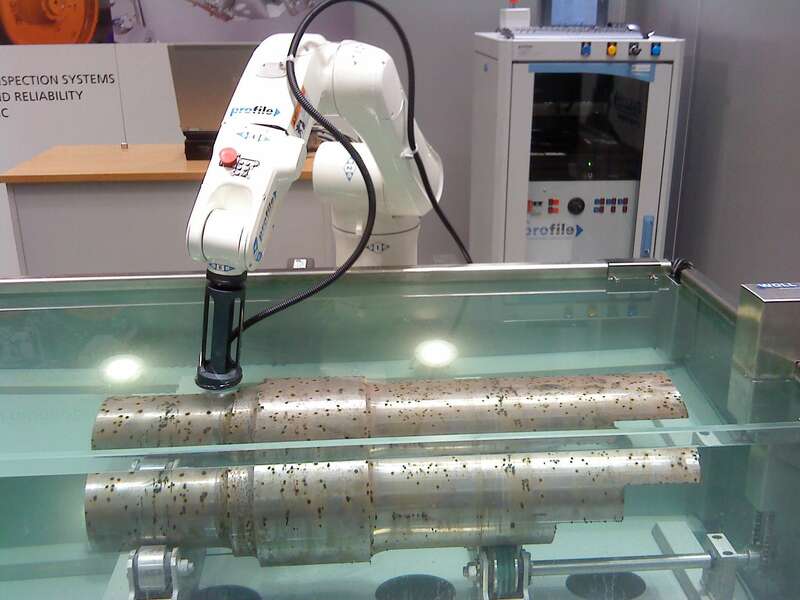 Representation of a robot scanning solid axles in immersion tank with UT. Our partner SC Lead (China) has developed a UT inspection of the wheels without dismantling the wheel set from the car. 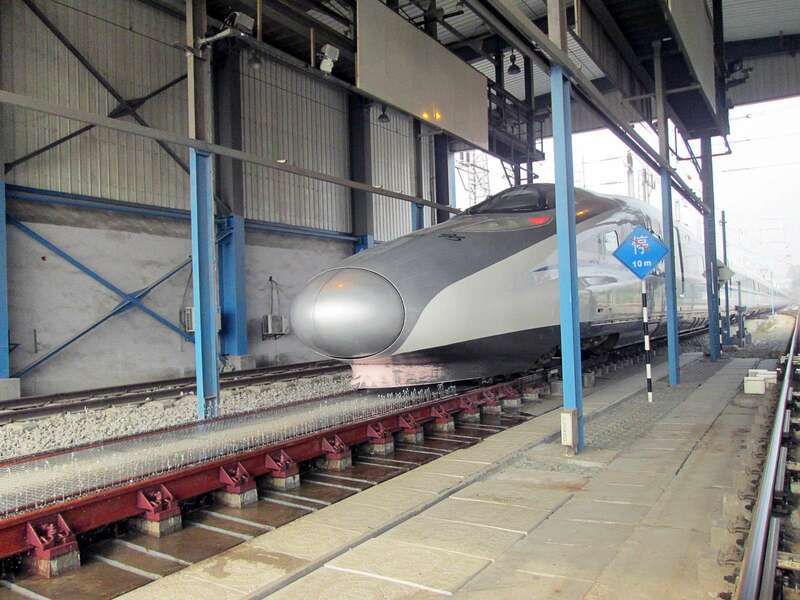 The ultrasonic inspection is made when the train is passing through the shed, without stopping. 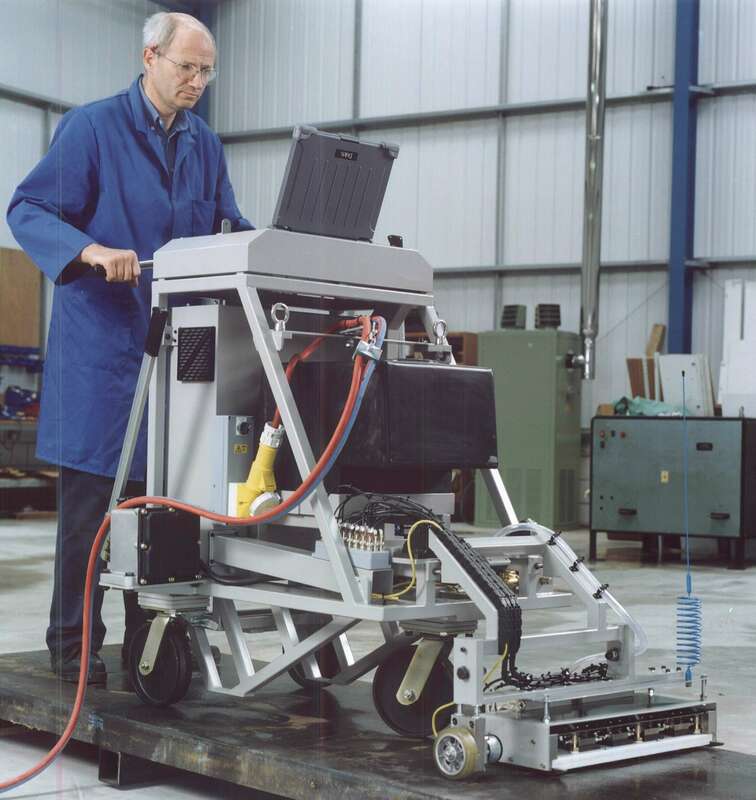 The probes have been installed inside the rail, and in order to perform the inspection there are water jets from below which allow waves propagation.